SPECTACULAR VIEWS! One of the very best locations in 55+ Sun Lakes Community. Elegant Pave model (1,471 sq. ft. 2/2) located on 7th to 8th holes with golf course view and one fountain lake with snow capped mountain views in the distance. Watch spectacular sunsets and golf from covered porch. Open great-room floor plan with splendid laminate flooring, designer wall paint and covering, vertical blinds, fans in living and bedrooms and den/office. Large master suite. House beautifully maintained and updated. Sun Lakes C.C. has three clubhouses, bocce, pools, 2outdoor and one indoor, three gyms,two golf courses, spa, tennis and many other amenities. Clubhouse has restaurant, café, golf pro shop and loads of entertainment and classes. Retire in luxury. One of a kind home. Private street and hilltop. Views are outstanding from everywhere. 4341 square feet of ground up remodel. Pool and spa compliment the entertainers back yard. Hardwood floors and tile throughout. The oversized granite kitchen island and Viking burner range top off the outstanding views. Very low exterior maintenance with tons of rock hardscape. Private driveway and parking for everybody. Everything is either new or upgraded. Tons of granite and high quality cabinets. For the home size, quality construction and private location this is a bargain. There is a separate quarters for the granny unit or office. Two car garage for your collector cars and a carport. There is RV parking too. Built to all new fire codes. This is a chance of a lifetime to buy and retire in the home your really wanted. This beautiful Cherry Valley Ranch has something for everyone! Featuring 4 spacious bedrooms and 4 bathrooms each ready to be customized to fit your style, a stunning granite kitchen that opens to a warm greatroom perfect for nights of entertaining large or intimate groups, 2 inviting fireplaces are perfect for those cold cozy nights, large loft between bedrooms make perfect kids or craft room, more storage than you'll know what to do with and thats before you even step out on the spacious 1.25 acres! Outside you'll enjoy a huge covered porch, expansive back patio already wired for outside TV entertaining, a private guest quarters, and inviting pebble tech pool and spa makes any hot day a thing of the past while you relax and refresh poolside as you take in the peaceful sounds and sights of the rolling hills and nearby Bogart Park. Have animals? This place is perfect, equipped with horse stables and tons of space for any other critters that you call your own as well as plenty of space to accommodate your RV, boat, and any other toys you may have! This home will not last, make your move while you can! HONEY STOP THE CAR!!!! Welcome home to this beautiful single story property in University Grove, that is just waiting for a new owner to come making their memories in. This home boasts three nice sized bedrooms and master retreat with its own access to the backyard. 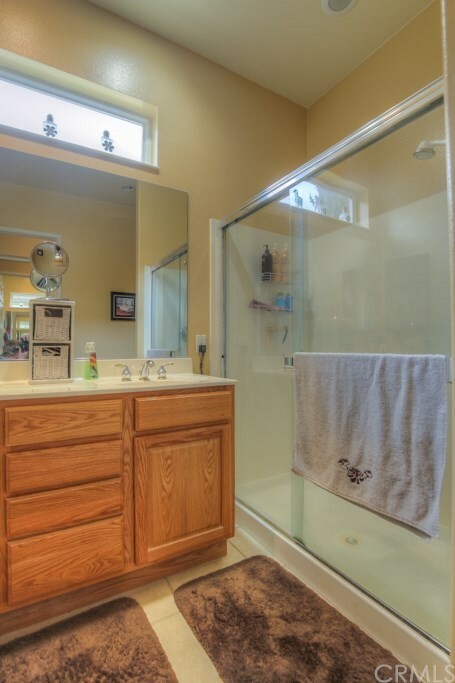 The master bathroom includes a separate water closet, sunken bathtub, separate shower, and walk in closet. The open and inviting kitchen features granite counter tops and back splash, double ovens, and an island you can sit at. Off the kitchen is a formal dining room to hold dinner parties in. With a living room and a family room, you will never feel cramped. Outside in the quaint backyard is where you can relax and enjoy the fresh air. Wait, there is more! Enjoy the benefits of LEASED solar. You pay $98 every month, with most months getting money back. Let the sun make your electricity and benefit from it! Come and see for yourself what this home has to offer! Professional pictures to come! Absolutely Stunning Retreat Home!! THERE IS A SEPERATE 600 sq ft Potential mother-in-law questers/game room/Man Cave/Hobby room on the basement level, which has its own bathroom and bar area.Your own private ranch with all the preferred amenities. Long private concrete drive way takes you home to this private hide-a-way. You can instantly see this homes perfectly designed exterior is meant to enjoy all the beauty of the outdoors whether you are inside or out. Front porch patio and back balcony run the length of the home. When you enter the home you have an open flowing floor plan with high ceilings, neutral colors, tile flooring laid on a diagonal. Dual sided fireplace warms the family room and dining room. There are large windows with encased wood framing throughout the home. The windows are all along the backside of the home to enjoy the wonderfully tranquil views of the tree tops and valley. The kitchen has a huge pantry, granite counters, kitchen island, lots of cabinet space and a cozy breakfast dinette area to enjoy morning coffee. The Master bedroom and another bedroom each have their own private baths. The Master bathroom has all neutral tile floors and separate shower area with a large Jacuzzi tub. The 2 car garage area (has its own 1/2 bath), Shed, caged garden, greenhouse are all perfect for additional storage and veggie growing. House Generator and Jacuzzi are included in the features. MOUNTAIN & CANYON VIEWS! LOW MELLO ROOS! !LANDMARK I (2635sq.ft.) located on a cul de sac in the active adult resort living of Four Seasons of Beaumont!. - Enjoy entertaining in this spacious open floor plan with 3 BD, 3 BA + CASITA with a bath. Entrance to the home is through your very own private courtyard with many fruit trees. Formal Dining off the great room with view of the fireplace. The gourmet kitchen is perfect for entertaining with a large island and generous granite counter space and breakfast nook. . Master Suite is situated away from other bedrooms and has large Walk In Closet with closet organizer system. Relax in the office/den area. UPGRADES include granite counter tops, stylish laminate wood floors and maple cabinets. PLUS HOMEOWNER OWNED SOLAR SYSTEM WHICH SAVES YOU ON UTILITIES. Then enjoy the private secret garden in the backyard where the views continue to change all day. Beautiful Tournament hills home, this was a model home its loaded with all the Upgrades. Granite counters. crown mldgs tile floors. entry has courtyard large enough for patio furniture, has dual a/c units this home is an open floor plan large single story 3 bdr 3 Bath. Nice size fenced backyard with storage and a large rear patio with pull down sunshades. large pantry, has office or retreat area lots of storage and cabinets this is a must see. Enter through the courtyard into this sprawling 2,800+ sqft single story home and fall in love with the large open kitchen with stainless steel appliances, huge island and walk-in pantry. Home features a spacious living room, a family room with fireplace, mantle and built-in entertainment center, a large master bedroom with access to the backyard and an incredible master bathroom with his & her sinks, vanity area, relaxing bathtub & separate shower and huge walk in closet. There are 2 additional bedrooms with a jack-and-jill bathroom attached, an office/den and one more full bathroom. has a 3 car garage, indoor laundry room, crown molding throughout, ceiling fans throughout. Impressive lot size and gorgeous, unobstructed view of the mountains from the back yard! This home has been nicely updated and offers four bedrooms, two bathrooms, an additional 480 sq. ft. garden room, pool table, indoor spa, finished three car garage, gated RV parking, covered patio, multiple concrete sitting areas and walkways throughout the property, all new landscaping in the front and side yards and a huge, 10 x 12 ft. shed. This home has also been freshly painted inside and out! It is truly move in ready for you. Fantastic views await you here from this 3 bedroom 3.25 bath Beautiful Golf Course Condo. Home has a atrium with a pond in the center of the home offering great views throughout. The Lakes Country Club is a privately-gated club situated on 380 acres in the heart of Palm Desert, CA. There is a magnificent 50,000 sq. ft. clubhouse including a grill room, fully equipped Pro Shop, main Dining Room and Lounge overlooking the majestic Santa Rosa Mountains is at the center. A 5,000 sq. ft. There is a Fitness Center and Spa. The grounds consist of flourishing green lawns, mature shade and ornamental trees, accented with desert flowers and attractively landscaped street scenes all carefully integrated into the dominant landscape theme of golf course, lakes and waterfalls. Panoramic splendor best describes the spectacular 27-hole championship golf course. This Ted Robinson design incorporates mature shade trees, grand towering palms and Scottish-style bunkers. The Lakes courses bring water into play on nearly every hole. Dramatic park-like grounds surround championship tennis courts, 9 hard, 2 clay with 8 lighted for evening play. A spectacular tennis clubhouse overlooks a lavishly landscaped center court with stadium seating. The Lakes security staff provides protection 24/7 controlling the entrance gate and regularly patrolling the community. Security cameras are located throughout the club and alarm systems in each home are monitored by security personnel. ** New Price!! ** This beautiful single story home sits on a quiet cul-de-sac street with amazing mountain views. Very spacious at 2,180 square feet with 4 bedrooms and 2.5 baths. The large, quarter-acre lot boasts mature citrus trees. Extremely well maintained property with granite counter tops and recently upgraded laminate and tile flooring. Pleasant features like the formal dining room and vaulted ceilings provide an elegant feel. Neighborhood has very well-kept properties but no HOA! Part of Redlands Unified School District and walking distance to Mentone Elementary School and Redlands East Valley. Down the street from Fire Station 9 and very close to the Redlands Village Retail Center (Stater Bros, Starbucks, CVS). **Huge price reduction plus appliances offered!! ** Sellers are the first and only owners of this home! Five bedrooms- one downstairs with its own bathroom! Very spacious at over 2,100 square feet, the home offers three full bathrooms, a grand front entry with a mosaic tile inlay, and a spacious THREE-car garage. The back yard boasts orange, pomegranate, avocado, and lime trees. This comfortable home has granite counter tops in the kitchen and bathrooms, tasteful laminate and tile flooring, plus charming plantation shutters throughout. Upgrades, like a tankless water heater, have kept this house current. The inexpensive HOA offers a swimming pool and a nice park. Part of the Redlands Unified School District and walking distance to Mentone Elementary and Redlands East Valley. A stone's throw from the University, Crafton Hills College, Hangar 24, and downtown Redlands- you cannot go wrong with this amazing property! Spacious home with 5 bedrooms and 4 bathrooms and loft and 3 car garage! Kitchen has plenty of cabinet space, tile countertops. Family room with fireplace. Formal living room area with dining room. One bedroom downstairs and one bathroom downstairs with shower! Backyard has a nice covered patio area so that you can bring the indoors outside. Cul-de-sac location. Easy access to schools, shopping, food, retail, commuting. This Fabulous Sun Lakes Country Club home sits up high within the development with an incredible view of the mountains and city lights. The interior open layout concept joins the living, dining and kitchen into one large gathering area. The fireplace is a living room focal point with custom built-in cabinetry, plantation shutters, ceiling fans and tile flooring in the traffic areas adding to the comfort and appeal. The center island kitchen has a pantry, double ovens, breakfast bar and corian counter tops. The master bedroom is spacious with a massive walk-in closet and an upgraded bath with a walk-in custom tile and bottle glass shower and a soaking tub. The guest suite also features a custom shower and the double door office can be flexible space to fit your lifestyle. The under roof patio is terrific for outdoor entertaining. Plenty of space is in the garage with a double door in addition to a golf cart garage or this space is great for a shop or storage area. This home is sure to please the fussy buyer. This amazing 4 bed/ 3 bathroom house with an office or your 5th bedroom positioned in a welcoming cul-de-sac in the desired community of Heritage Lakes is just down the street from park areas & walking trails. Your new home is turnkey ready with all new carpet, tile floor, paint, & crown molding throughout. Entering into the spacious formal living/dining room area you become visually pleased. To the left is the hallway to bedroom #1, Laundry room & full downstairs bathroom. Straight ahead is an open floor area with the kitchen, dining, & family room ensuring magical family gathering. Whether it is watching your 65 inch HDTV, enjoying a fire in the custom masonry fireplace with mantel, or both. The beautiful built in shelves adding the perfect place to admire all your treasured possessions. As you continue up your chandelier lit stairway to the second floor you come to your 5th room with built-in shelves for use in multiple scenarios. The 2nd bedroom with breath taking views of our Southern California Sunsets. Next, is the 3rd bedroom with amazing view of our beautiful sunrise over the mountains. Finally, leaving the best for last & leading into the relaxing Master Bed & Bathroom area. Simply Irresistible. Gorgeous, custom, modern loft, surrounded by a scintillating English garden, and valley view of the city lights. Recently built home offers 2br, 2ba + loft/studio, 2 car garage and full list of higher end amenities. Studio could be used as 3rd BR. Spacious 5 bedroom, 5 bathroom home with loft and plenty of space to entertain! Located in suburban San Jacinto with mountain views from the oversized backyard. New carpet and new paint throughout this home. Downstairs bedroom and bathroom. Formal dining room and formal living room areas. Kitchen features tile countertops and open layout with family room. Fireplace in family room is a great gathering place. Upstairs loft is enormous! Bedrooms are nicely arranged to maximize the upstairs space. Backyard has so much potential, as it is one of the largest yards in the neighborhood! Ready for you to move right in! Short walking distance to Terrazzo Park and Tamarisk Park and Catalpa Park. Close to schools, CVS, Starbucks and an easy commute to 60, 10, 215, 15 Fwys. Beautiful Cul-De-Sac home in the Fairway Canyon Community! This Large home with over 3,000sqft features an open Floor Plan, 4 Bedrooms, 3 baths - including a spacious Master Suite, large loft for even more living space. Large Family Room with cozy Fireplace. The kitchen can accommodate all your Chef dreams with an abundance of counter space and a large center island. Community offerings - Pool, Spa, Club House with Fitness Center and so many parks. This lovely one-story, 3 bedroom, 2 bathroom detached home situated on a 5,663 sq. ft. lot, is the jewel of Napa Ln. It sits directly at the end of the cul-de-sac on a semi-private street, providing a quiet and safe environment. Every home on this street has character and has been lovingly owned and maintained. Upon entering, the home features a welcoming foyer with a skylight providing immediate nature light. From the foyer, there is direct access to the garage and a storage closet. The bright and open living room features a brick fireplace. As you enter the the family room/dining room, you are greeted by the kitchen with a breakfast counter, allowing room for bar stools. The hallway leads to two bedrooms with one separate shared full bathroom and a master bedroom with an ensuite bathroom and access to the backyard. The family room leads out to the backyard which has a covered patio, mature fruit trees and plenty of green space. The home has brand new interior and exterior paint. This home has easy access to the 91 freeway and is close to ample restaurants, stores and other amenities. Riverwalk Pkwy has a beautiful walking trail and there is a dog park just down the street from the house. This home has everything you need to make yourself cozy. Come make yourself at home!! Fantastic Banning Area with Low taxes and so much to offer! This lovely 2287 Sq. ft single story home features four Bedrooms and 2.5 Baths. This home is situated on a large 10,000+ Sq. Ft. lot. There is a large covered patio in the backyard to enjoy the gorgeous views of the surrounding mountains. It has a desirable open floor plan and large roomy bedrooms. The kitchen is perfect for those that love to cook and gather. The window are large and over sized to let in plenty of Natural lightening. If you have not yet viewed this home you should. It has a lot to offer. Stunning corner lot property located in the renowned Heritage III in the 55+ Four Seasons Community in Beaumont. Features 2 bedrooms plus office, 2 bathrooms, separate laundry room, and 2,102 square feet of open space. Upgrades include tile flooring, decorative lighting, ceiling fans, crown molding throughout home, and fireplace both in living room and master bedroom. Plenty of dark cabinets in the kitchen, island with seating area, and stainless steel appliances. Living room has built-in entertainment center with additional storage. Master bedroom includes its own fireplace, french doors leading to backyard, walk in closet with custom shelving, vanity, plus separate bathtub and shower for preference. Amazing backyard with patio area, built in barbecue, fire pit, and water feature..perfect for entertaining. HOA community amenities feature Bistro, movie theatre room, billiard, swimming pools and much more. Conveniently located near shopping, dining, Morongo Casino, Cabazon Outlet, and just a short drive to Palm Springs! Here it is, a must see! 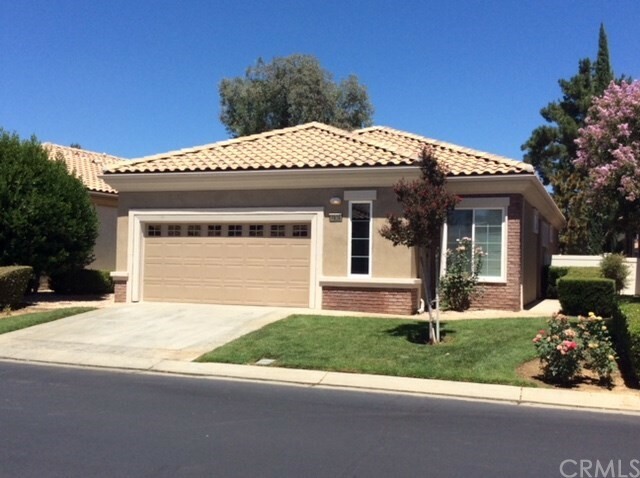 Very well maintained single story home in a great neighborhood in upper Yucaipa. Don't delay to see this beautiful, freshly painted 3 bedroom, 2 bath home. A large fenced private back yard will be the gathering place for all your cherished family get-togethers. There is also potential access to allow boat or vehicle parking at the side of the house behind the fence. This peaceful cul-de-sac neighborhood is perfect for any new family or any couple ready to downsize and enjoy retirement. Cathedral ceilings in main living areas give the feel of spaciousness to this well laid out family home. Professional landscaping in front and back with water saver sprinklers and timers. Air conditioner and furnace less than a year old with all ducting pressure tested and sealed. New 50 Gal. water heater, new gutters, basically turn key property. You will appreciate the care and feel of this wonderful family home. Lovely home! A MUST-SEE! Large home on a large lot in Fairway Canyon! 1 bedroom and 1 bathroom downstairs. Formal living room and dining area with spacious and tall ceilings! Family room with fireplace. Kitchen has granite countertops and island. Ample cabinet space. 3 car garage and spacious driveway for more parking. Upstairs features a large loft overlooking the living room and dining room area. Master bedroom has attached master bathroom suite with large two door walk-in closet. 2 more bedrooms with a jack and jill bathroom between them. Backyard has vast potential! Fairway Canyon offers its' residents access to a beautiful clubhouse, swimming pools, exercise gym, community room/party room, playground, cable internet, and several parks within the community. FORSYTHIA MODEL ON THE CHAMPIONSHIP GOLF COURSE (2 BR + 2 BA + OFFICE/DEN - 1668 SQ. FT.). This immaculately maintained home features: VIEWS OF A LUSH GREEN GOLF COURSE & BEAUTIFUL MATURE TREES. Enter front of home to a QUIET SITTING AREA WITH ATTRACTIVE BRICK ENHANCED MASONRY; Interior offers a Large Dedicated Entry area great for decorating, offering niches with 'spot' lights to showcase treasures; Great room Concept with Updated NEUTRAL CERAMIC TILE in all High Traffic Areas; PLANTATION SHUTTERS, Many of the Electric Switches have been updated with Dimmer Switches; Coffered Ceilings & Bullnose corders; Fireplace in Living room; Watch the Golfers from the CUSTOM DUAL-LEVEL ALUMAWOOD SOLID PATIO COVER; Price includes 3-DOOR REFRIGERATOR, WASHER & DRYER. Sun Lakes Country Club - THREE Clubhouses TWO Restaurants, Bar & Lounge, TWO 18-Hole Golf Courses with Pro Shops, Tennis, Salt Water Swiming Pools (including indoor), Jacuzzi, Gymnasiums, and great activities that take place on a daily basis. There are 80+ Social Clubs - RV, Yoga, Dancing, Cards, Boccie, Tennis, Travel, Quilters, Art Legue, Sewing, International Culture, Genealogical Society, Garden, Photography, and a lot MORE ..... JOIN US FOR THE 'GOOD LIFE' AT SUN LAKES COUNTRY CLUB. SPACIOUS 2 STORY HOME in Beaumont with NO HOA!! The home features an open concept with large living room, french doors leading to the back yard, new paint throughout, gas fireplace, and entertainment built ins. The open kitchen boats plenty of cabinets for storage, breakfast bar, recessed lighting and a walk in pantry with a frosted glass door. Conveniently located on the main floor is a half bath and laundry room. Next to the laundry room is the access to the 3 car garage. Upstairs are 2 good size bedrooms with beautiful mountain views and sliding closet doors. The 2nd bathroom has upgraded tile floors with a tub-shower combo. At the end of the hall is spacious mater suite with a walk in closet featuring wood floors and built in storage. The master bath has dual sinks, soaking tub and separate shower. Outback is lush landscaping with shade trees , alumiwood patio cover, large wrap around cement patio, tranquil water fountain, and grass area for the kids and pets. This home sits on a quiet street near shopping, schools and access to freeway. Spacious home in a low tax area! This home is 4 bedrooms and three bathrooms with a bedroom downstairs perfect for guests. Property has mountain views currently topped with snow! Walk up to a welcoming courtyard. Soaring ceilings greet you instantly as you step inside. Natural lighting throughout. The fireplace in the family room will keep you and yours warm on these cold spring nights. It has a quaint backyard complete with covered patio. The home has a three car garage. Located on a cul de sac, this is a well priced home and is just waiting for you to move in and call it your own. Find yourself in the growing community of Beaumont, only 25 minutes from Palm Springs if you head East and freeway friendly to the 60, 79, and 10 freeways. This is a great family home with very large fenced lot. Possibilities are endless. Great for a business to park work vehicles or just put in a beautiful pool for the family to gather. 2 bedrooms, 2 baths has upgraded LED lights throughout, All electrical wiring, outlets and main panel upgraded, Whole house fan, New carpet will be installed, Leach line for septic tank upgraded and relocated, Pool ready with pump and electrical hook ups. Seller will leave appliances if buyer wants them, this includes Oven range, dishwasher, refrigerator. This home will not be on the market very long. Just too nice to last. Very well kept 4 bedroom home ready for a new family. This property features clean tile and carpet throughout, well kept kitchen with formica countertops, Good sized master bedroom with walk in closet and full bath, and a one car attached garage that has been dry walled and much more. SELLER MOTIVATED brings any offer. This home qualifies for FHA, VA, DOWN PAYMENT ASSISTANCE, ETC. ***PRICE CORRECTION*** HONEY STOP THE CAR! Spacious 4 bedroom, 2 bathroom home in North San Bernardino is ready for you to call it "home" on a large lot. Situated on a quite, tree lined street. Beautifully updated with new carpet, flooring, trim work, paint and bathrooms. The backyard was just recently landscaped. Huge family room AND living room. Spacious bedrooms. AC is less than a year old. Dishwasher is less than a year old. 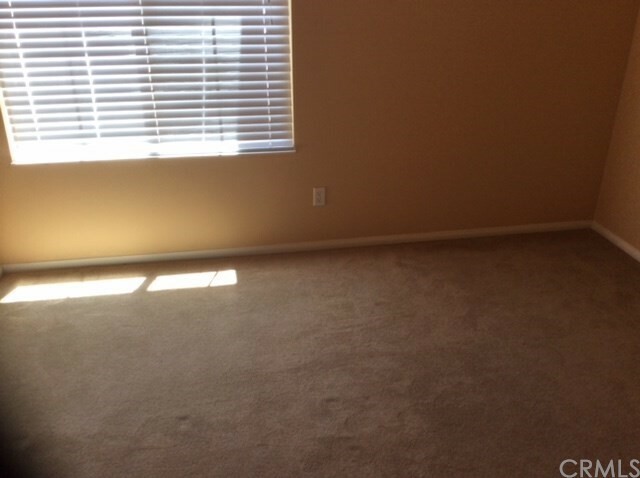 Very close to Cal State San Bernardino and walking distance to an elementary school. You will not be disappointed! Nicely upgraded home with downstairs master bedroom and 2 bedrooms upstairs (1 was a loft but could be a bedroom), 2.5 bathrooms, over 1800 square feet, formal and casual living areas. There is upgraded tile and wood floors, upgraded kitchen, granite counters, stainless appliances and custom bathrooms and flooring throughout most of the home. Terraced backyard with built-n BBQ and covered patio and plenty of patio space and low maintenance. Welcome to beautiful Sun Lakes! This Pavé home is located in Sun Lakes Country Club, a 55+ prestigious resort-style gated community. Don’t miss out on this magnificent home with 1,458 square feet surrounding 2 bedrooms, 2 bathrooms, home office with built-in desk & library and great room. It’s been upgraded head to toe with new flooring, two-tone paint, kitchen, patio and bathrooms. The gourmet kitchen overlooks the spacious great room with a view of the patio, executive golf course and San Gorgonio mountains. It’s open, bright and airy with lots of natural light. A large sliding glass door leads to the covered patio with included patio furniture & built-in BBQ. The remodeled kitchen is bright & clean with stainless steel appliances, oak cabinetry, wine rack, granite counters and decorator tile flooring. The master suite also overlooks the golf course & mountains and has built-in cabinetry & closets and a completely remodeled bathroom. The direct access 2 car garage features added storage cabinets and additional space for bicycles and golf cart. Sun Lakes has 3 club houses, the main clubhouse has a restaurant, lounge, veranda, library, billiards, a large pool & spa area and a grand ballroom. There’s 8 lighted tennis courts & 3 lighted bocce ball courts. Situated only minutes to marketing, shopping, dining, entertainment, Palm Springs airport and easy 10 freeway access. Don't miss out on this amazing home. This is a MUST see home - you & your Buyers will fall in love with it! INVITING, WELL MAINTAINED, ENERGY EFFICIENT HOME READY & WAITING FOR NEW RESIDENTS - Great Location in Sun Lakes Country Club - A 55+ Adult Private Golf Community (NO Mello Roos). This is the DESIRABLE, PULTE-BUILT TRILLION MODEL - 1,683 SQ.FT - 2 BR 2 BA + DEN/OFFICE. FEATURES IN THIS ENERGY EFFICIENT HOME INCLUDE: A GREAT ROOM CONCEPT WITH ATTRACTIVE, NEUTRAL CERAMIC TILE IN ENTRY, LIVING ROOM, KITCHEN & BATHS; CORIAN COUNTERS; DEDICATED LAUNDRY ROOM WITH CABINETRY & UTILITY SINK; TWO MASTER BEDROOMS (EN SUITE) WITH HUGE WALK-IN CLOSETS - GARDEN TUB & SEPARATE SHOWER IN LARGER MASTER; A BEAUTIFULLY LANDSCAPED BACK YARD, PRIVATE & SERENE WITH GARDEN AREAS & LUSH GREEENERY, COZY ALCOVE SITTING AREA, AND AN ALUMAWOOD EXTENDED SOLID PATIO COVER; DOUBLE CAR GARAGE WITH ROOM FOR GOLF CART PARKING. EXCELLENT LOCATION, A SHORT WALK TO THE SOUTH CLUBHOUSE (INDOOR SALT WATER SWIMMING POOL, TENNIS COURTS, GAME ROOMS & ACTIVITIES). Sun Lakes Country Club - 3 Clubhouses 2 Restaurants, Bar & Lounge, TWO 18-Hole Golf Courses & Pro Shops, Tennis, Salt Water Pools (1 indoor), Jacuzzi's, Fitness Ctrs and great activities that take place on a daily basis. There are 80+ Social Clubs - RV, Yoga, Dancing, Cards, Boccie, Tennis, Travel, Quilters, Art League, Sewing, International Culture, Genealogical Society, Garden, Photography, and a lot MORE ..... JOIN US FOR 55+ LIVING AT IT'S BEST IN SUN LAKES COUNTRY CLUB. ****Splash this summer on this beautiful pool home**** Excellent condition recently remodeled, Newer kitchen, freshly paint, New carpet in bedrooms and tile flooring throughout the rest of the house, Newer roof, 3 bedrooms and 1.5 Baths 2 car Garage, Huge Lot with access to the back possible RV parking. Close to 10 Fwy. close to shopping and schools. This is living at your best in the fabulous upscale Four Seasons, Beaumont Active adult community. It's simply a sensational life. This Arbor Model with three bedrooms located up the hill and walking distance to the Summit with the indoor heated swimming pool. The Summit also offers an outdoor spa, outdoor patio, BBQ's, kitchen and a social room - a perfect way to spend the day. This home presents a spacious floor plan, which includes a parlor/den and living room. The living room area can also be a formal dining area. 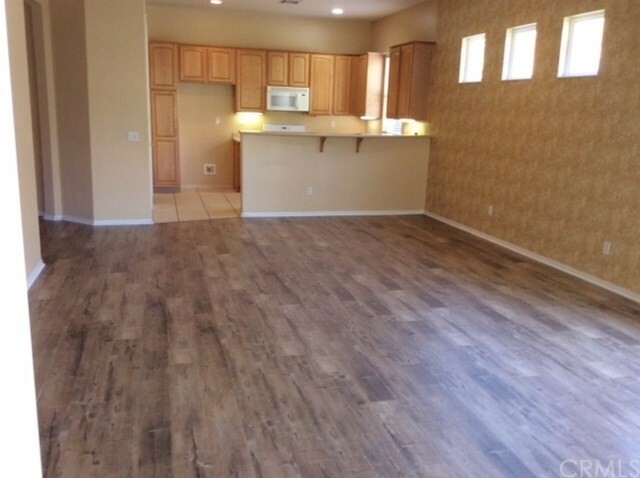 Beautiful wood laminate flooring and upgraded carpeting ads that nice touch to this home. You'll enjoy the open kitchen concept with a large island and a generous amount of cabinets. The great room expands the kitchen into an entertainment spot perfect for friends and family gatherings. The spacious master suite offers a large walk-in closet, a luxurious bathroom with his and her sinks, and enclosed glass shower. Ceiling fans located throughout the home. Lush edible fruit trees such as Pomegranate, Orange, Lemon, Plum. and Persimmon adorn the back patio-yard. A perfect area for your BBQ and sitting area - and it is low maintenance. Four Seasons has so much to offer - the Lodge offering movie theater, art, billiard, library, pickle ball, tennis, resort pool area, top of the line fitness center a Bistro, beauty parlor and much more. Close to medical centers, Desert Hill Premium Outlets, Palm Springs and Mountain resorts. LOW MELLO ROOS !!! Beautiful single story home in Beaumont. NO HOA. This 3 bedroom 2 bath with and additional office space has laminate floors and is ready for a new owner to move in. Was originally a model home for this development. This home boast upgrades like full tile backsplash and under cabinet lighting in the kitchen, real wood plantation shutters, dark wood laminate flooring, office with built in shelving and cabinets. Garage is completely finished and painted with an epoxy floor. Beautiful landscaped yard with several mature trees. Beautiful two-story home located on a quiet cul-de-sac in the prestigious private and gated community of Tournament Hills. This home features four bedrooms and three bathrooms. One bedroom and bath is on the main floor, perfect for guests or in-law suite. Tile floors in kitchen and entry, carpet throughout the remainder of the home. The kitchen features a center island with ample storage, an updated double drawer stainless steel oven and walk in pantry. The kitchen opens to the living room accentuated by a beautiful fireplace and custom built in media niche. As you make your way upstairs you are greeted with an enormous bonus room with a custom built-in media center perfect for entertaining, play room, theatre, workout room or whatever fits your needs. The large master suite upstairs enters through double doors and includes a luxurious bathroom with jacuzzi tub and highlighted by upgraded etched windows to allow maximum light and privacy. 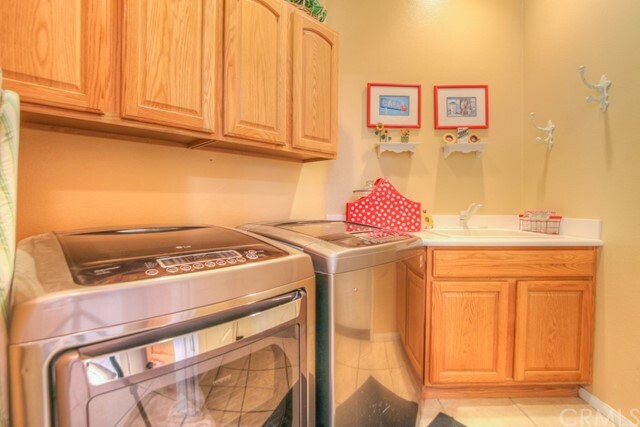 The laundry room is conveniently located on the second floor and features ample storage. The back yard showcases an alumawood patio cover over a large concrete pad and pet friendly artificial grass backed up by a gentle sloping landscape. The home is security ready and also is plumbed for a water softener system. The top-rated Tournament Hills Elementary School is five minutes away. The community is patrolled 24 hours a day, you will love the peace and quiet of the area. The only thing missing is YOU, HURRY this home will not last! Beautiful Home on the golf course with water views, city views, and mountain views. This home is highly upgraded and will be sure to please those seeking the best of the best. This home is a two bedroom, 2 and 1/4 bath home, with a den. The home has crown moulding and upgraded remodeling throughout. The kitchen is wonderful with upgraded appliances, gorgeous cabinetry, and granite countertops. There are fantastic views from many different rooms in the home that will be sure to enthrall you. Walk along the stamped and stained concrete to your front door as well as to the back covered patio lounge areas. Grill on your stainless steel bbq and have dinner overlooking the lake and golf course. Visit the clubhouse to golf, swim, and join social clubs. Dramatic and modern fireplace. Tongue and groove cathedral ceilings and crown moulding throughout. Luxurious styled granite vanities in bathrooms. Ceiling fans throughout home. Upgraded wood-style flooring. Oversized panoramic kitchen window to take advantage of the amazing water and golf course views. Two-car garage is a rare feature in this community. Plantation shutters on most windows and new vinyl windows throughout. Turnkey home for the fussiest buyers. Furnishings are available to purchase with the sale of the home. Gorgeous and well cared for four bedroom home with an unobstructed easterly view. The kitchen and baths were recently remodeled with new cabinets and granite counters. The back and front yards were professionally landscaped with decorative rocks and concrete coping around the rear yard. There is an attractive covered patio and plenty of concrete to make it easy to enjoy your time outside in the back yard. It is both attractive and low maintenance! The metal outbuilding will remain giving you additional storage space. Come and see for yourself! Adorable house in a great little neighborhood in Beaumont. Three bedrooms, 2 baths, larger lot. House has updated laminate flooring throughout most of the house, brand new kitchen cabinets with new wood counter tops. New water softener system that is paid. Updated master bath with dual shower heads. New driveway and walkway with epoxy garage floor. All windows have been updated dual pane. Back yard has mature fruit trees. Lower tax rate. Must see this one to appreciate. BEAUTIFULLY UPGRADED HOUSE IN THE HEART OF BEAUMONT! Huge corner lot. This is not your typical "flip". Pride of workmanship went into every last detail. So many upgrades! BRAND NEW kitchen with beautiful top grade granite counter tops and glass tile back splash. Brand new pantry built in! All new appliances, cabinets, sink, and fixtures. 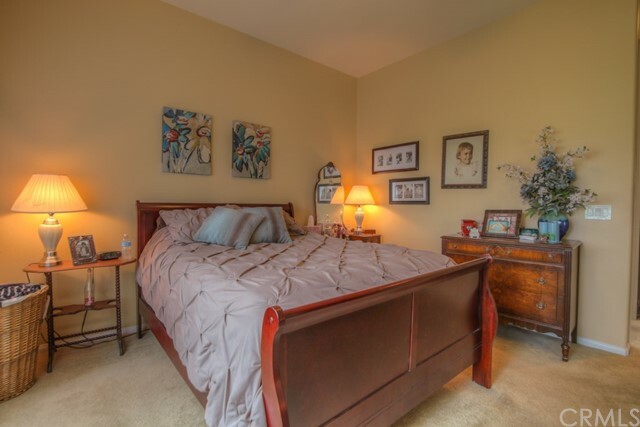 Gorgeous wood floors throughout, with premium carpet in the bedrooms. NEW recessed lighting, ceiling fans, outdoor lighting. New garage door. New vanity and mirror in bathroom. Brand new windows. Hardieplank Cement Fiber Siding! No termites, no wood rot, EVER. Front yard was just recently seeded and all the irrigation has been repaired. Come see for yourself! Enjoy a lovely family home (1610 sq ft) with large lot of 16,117 and minutes from the 10 freeway. Large living room with tile floors, this cook's kitchen has granite counter tops, double stainless steel sinks, and double oven. The master bedroom has a large walk in closet and master bath with updated tile walk in shower and granite counter and new cabinet. The guest bedrooms are spacious and guest bath updated with tile surround of tub and shower, marble counters. The neighbors are very welcoming. The low maintenance desert landscaping in yard has drip system. The garage has been converted to a great living space. This home also offers a large backyard perfect for pets and is fenced off allowing for lots of storage space for a contractor, yard maintenance and vehicle access. And additional storage with 10 by 12 shed. Beautiful single story home in the 55+ community of Solera at Oak Valley Greens. This 2 bedroom and 2 bath with a separate office home is move-in ready with a large foyer with high ceilings and beautiful tile floors, ceiling fans and large walk-in closets. The kitchen features granite counter tops and is open to the large family room. The separate laundry room has extra cabinets for storage. The park like setting is a gardeners dream it has terraced flower beds with roses and mature landscape. The HOA features a magnificent club house with large meeting rooms, billiard tables, bocce courts, pool and spa with a well equip gym. This highly sought after "Trillion Model" is ready for its NEW Owners. Don't miss seeing this one!!!! Located at 7th and Pine in San Jacinto, Arterra is a delightful new community of homes for sale at a great value. This beautiful new home offers 3 bedrooms plus and office and a loft! Downstairs boasts an open spacious Great Room and Kitchen. The Master Bedroom has a walk-in closet as well as a double vanity in the Master Bath. All Lennar homes at Arterra include home automation features, solar panels, and front yard landscaping. Hemet School District and NO HOA makes this an wonderful place to call home. sellers have found their replacement home, bring us an offer!!! !Welcome to this beautiful home! you will love the brand new kitchen with brazilian glaze wood cabinets with etched glass and copper hardware along with self closing pull out drawers in the pantry and island cupboards, granite countertops. New carpet and tile throughout. most rooms have fresh paint. The bathrooms have new shower doors and hardware in the master bath. There is a huge office space upstairs open to the rest of the house and a bedroom. The master bedroom is downstairs with a sliding glass door to the patio. Cute backyard that is nicely landscaped! The 2 car garage has a pull down ladder with attic for extra storage space. You definitely will have no time to get bored here with an 18 hole championship golf course, an 18 hole executive golf course, and three large clubhouses. Restaurant, pools, fitness centers, library, billards room, meeting rooms, and a ballroom. There is a 8 lighted tennis courts, 3 paddle/pickle ball courts, and 3 lighted bocce ball courts. TAKING BACKUP OFFERS NOW! Outrageous Price Reduction! Sellers are SERIOUS about selling! 3 beds, 2.5 bath, No HOA, No Mello Roos, Low Tax rate, new carpet, new interior/exterior paint, new HVAC system, new fixtures and fittings, upgraded ceiling lights, all front windows are UV protected, granite in kitchen, herb window in kitchen, gated RV access, new patio sliding door, and new low maintenance landscape front/back yards, including artificial turf. 3 Ceiling fans upstairs to keep you cool, 2 ceiling fans on back patio. Near schools and shopping. You will NOT be disappointed with this pride of ownership property! Original owners have put thousands of dollars into this home to make it an excellent buy! MOVE IN READY! GREAT LOCATION! A short walk to the Main Clubhouse and close to the Main Gate! Move in ready Tivoli model with 1312 sq. ft. and 3 bd. 2 ba (1 bd has been converted into an office). Nice curb appeal with a mountain view from the front, lush green grass and the exterior was painted last year with updated colors. Inside has many upgrades including wood laminate flooring, granite counters, ceiling fans and new closet doors. Out back you will enjoy the large patio with an Alumawood cover and plenty of room for extra seating, tables, bar and BBQ. It is low maintenance with vinyl fencing on 3 sides. I already mentioned the GREAT LOCATION! 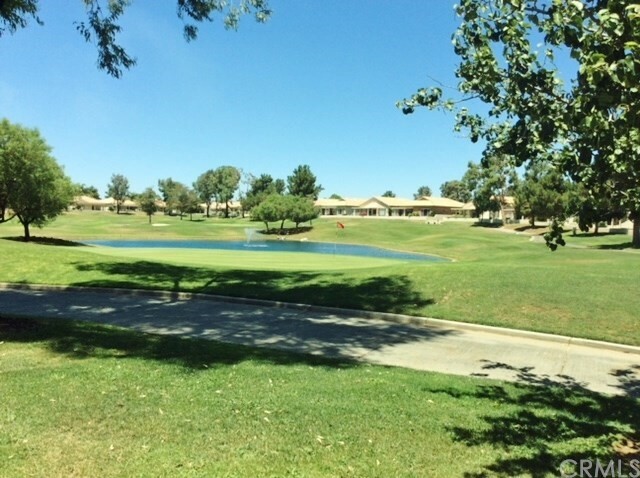 Sun Lakes Country Club is a guard gated 55+ community, has 2 Golf Courses, 3 Clubhouses (1 with a full service restaurant and lounge), 3 Swimming pools ( 1 indoor), 3 exercise gyms, Tennis, pickle ball, pop tennis and bocce courts. Every kind of activity or social groups you could ever want. Excellent shopping and restaurants close by. NO MELLO- ROOS TAX! Lovely home in South Banning on a large lot. This home is super cute and has New Windows and Doors,New Carpet, New Paint inside and Out and complete with New Window Coverings. There is also new appliances. This home is a must see and has a lot to offer. The Master Bedroom is large and has a slider that opens on to a patio that looks to the beautiful San Gorgonio Mountains. Three bedrooms and two baths. Large private master bedroom and bath. Super CUTE ! This home is really quite spacious It is a 2 bedroom with a extra large den and a large laundry/hobby room. There is a very nice kitchen with upgraded cabinetry and countertops. This home is surrounded by nice large trees and mature citrus trees and pretty landscape. The back porch is very nice with a pebble finish and a lovely patio cover. This home is definitely one to take a look at. There are beautiful mountain views from this lovely home. This is one of the nicer homes that will be on your list and is certainly worth viewing you wont be disappointed. If you are looking for a nice clean home that is ready to move in then you finally found it. Make your appointment to view this home today ! Price reduction just made this exceptional home so affordable! RESORT LIVING AT IT'S BEST!! 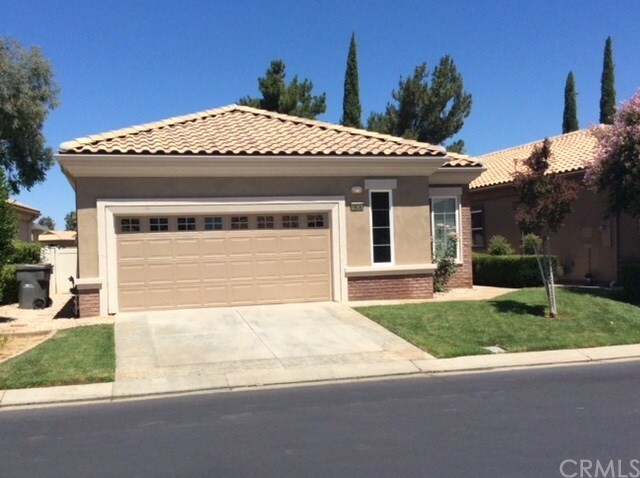 !BEAUTIFUL CHERRY HILL MODEL ON THE GOLF COURSE IN SUN LAKES COUNTRY CLUB, A 55+ COMMUNITY, IN BANNING, CA. 2 BDRM, 2 BA @ 1284 SF. HOME HAS AN OPEN FLOOR PLAN WITH VIEWS OF THE GOLF COURSE. MANY UPGRADES OF PLANTATION SHUTTERS, PORCELAIN TILE, GRANITE COUNTER TOPS, DECORATIVE BACK SPLASH, STAINLESS STEEL APPLIANCES, STACK STONE FIREPLACE. ENJOY ENTERTAINING IN THE SPACIOUS BACKYARD AND COVERED PATIO WITH A FABULOUS VIEW OF THE GOLF COURSE. SUN LAKES COUNTRY CLUB HAS 2 GOLF COURSES, 3 CLUBHOUSES, RESTAURANT & LOUNGE, 3 SWIMMING POOLS(1 INDOOR), TENNIS & BOCCE BALL COURTS, 3 GYMS AND MANY MORE ACTIVITIES AND ENTERTAINMENT. Wonderful single story home located in the heart of Hesperia. This house has 4 bedrooms with 2 full baths- rare for this neighborhood in a home this size. Large horse property with 3/4 of an acre. Mature shade trees in the back. RV access on the side. Cozy interior with floor to ceiling brick fireplace. All this home needs is your personal touch! PRICE REDUCED, SELLER MOYIVATED !! OVER $ 65,000.00 IN UPGRADES!!! The Sellers have done almost everything you can think of to upgrade and customize this 3 bd/2ba, 1195 sqft. Turnberry Model, it even has the perfect sized Blue Spruce that is the pride of the neighborhood when decorated at Christmas time. As soon as you open the custom front door you'll notice the large porcelain tiles throughout,along with some engineered hardwood in living room. 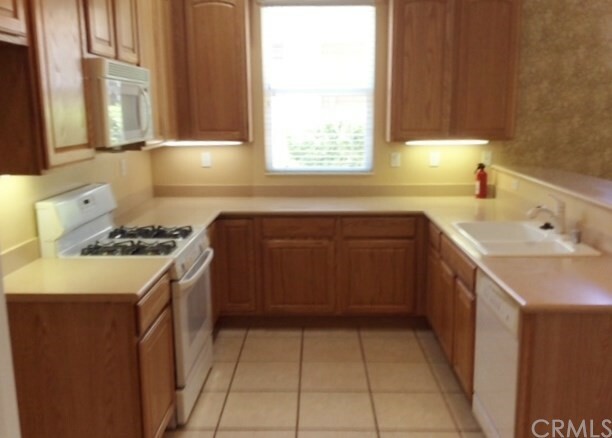 The kitchen has quartz countertops and some additional cabinets plus stainless appliances. Two bedrooms have 2 yr. old carpet the 3rd bedroom is being used as an office with custom shelving. Pictures will not do justice to the Master bath's custom shower, counter and cabinets. The guest bath has also been upgraded. The interior was painted 2 years ago, there are 5 ceiling fans throughout and it has a solar tube for great interior lighting in the dining room and master bath. Some of the upgrades that might not be as noticeable but equally important are the energy efficient 13 seer HVAC system with whole house electronic air filtration, there is a Honeywell commercial thermostat with wifi. All new energy efficient windows and sliders were installed 2 years ago with solar shades added to most windows. Last to say is the great job the Sellers have done landscaping the back yard with rockscape, plants and a gas fire pit, there is a full length Alumawood patio cover to help make this a great area for entertaining. NO MELLO ROOS ! Gorgeous 2 bedroom 1 and 1/2 bath home located is San Bernardino Ca. The home is 1,158 sqft. with a lot size of 7,210. The home has a large kitchen for dining along with plenty of space to entertain also comes with a indoor laundry room. The large back yard comes with cover patio and barbecue area. Beautifully landscaped front yard with great curb appeal. The home has a 2 car detached garage for parking. HUGE PRICE REDUCTION !! SELLER MOTIVATED!!! 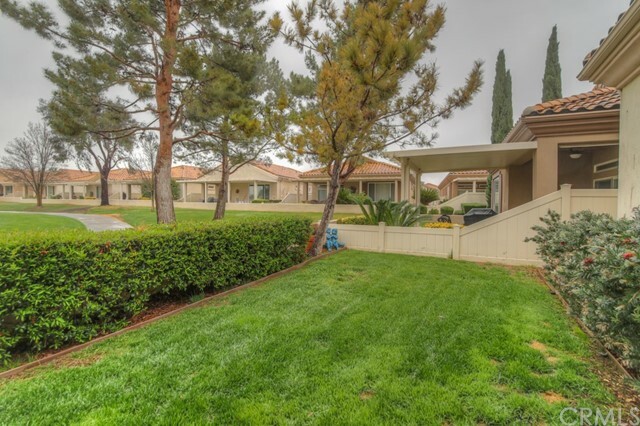 SELLER WILL ALSO PAY THE BUYER'S ONE TIME SOCIAL FEE OF $950.00 TO HOA AT CLOSE OF ESCROW. Riviera model, well manicured in the front and back along with nice mountain views. This popular floorplan has 1505 sqft. with 3bd 2 ba ( 1 bedroom easily converts to an office ) This home is very clean and welcoming plus you'll enjoy relaxing on the back patio with a view of all the palm trees and mountains in the background. Sun Lakes Country Club is a guard gated 55 + community, has 3 Golf Courses, 3 Clubhouses (1 with a full service restaurant and lounge), 3 Swimming pools (1 indoor), 3 exercise gyms, Tennis, pickle ball, pop tennis and bocce courts. Every kind of activity or social group you could ever want. Excellent shopping and restaurants close by. NO MELLO ROOS TAX! This quaint home has been well taken care of and it shows! Kitchen has lots of upgrades, including a farm house sink! Craft room includes nice built-ins and a Murphy bed. It also has crown molding throughout and double-pane windows! Perfect for a first-time home buyer! Princess Model home in the 55+ Active Adult Community of Solera .. Opening the door of this lovely home you will enjoy the open spacious floor plan which is light and cheery home. Enjoying entertaining while in the kitchen with family in the dining room, living room with fireplace. Large master bedroom overlooks the backyard gardens. Connecting large master bath has 2 sinks. Guest bedroom and guest bathroom are on opposite side of home for privacy. Nice office/den/study. Visit your own secret garden and enjoy the sunsets. PRICED REDUCED!!!! Nice Whitney model (1356 sqft, builders est.) an end unit on a great corner lot with mountain views and walking distance to the Main Clubhouse and close to the Main Gate. Complete main floor living (1100+ sq.ft. ), 2 bed 2 ba with vaulted ceilings in the living room and master bedroom, guest bath is just outside of the guest bedroom so its like having 2 masters. Nice size living room w/ fireplace and plenty of windows to let in the natural light and take in the views. 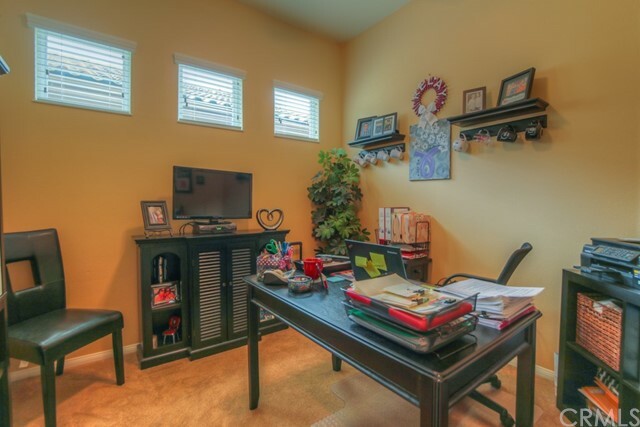 There is an upstairs loft that can be a plus for an office, craft room or a quiet retreat. A few of the upgrades are wood laminate flooring, newer carpet and the kitchen has a one piece corian sink and counter. New garage door and stove recently installed. Condos in Sun Lakes Country Club are very popular and can give the owners a piece of mind knowing that the HOA takes care of the exterior, some of which includes painting, roofing plus all landscaping except for your back yard/patio. There is plenty of green belt with walkways and the condo's have their own fenced pool and spa area. 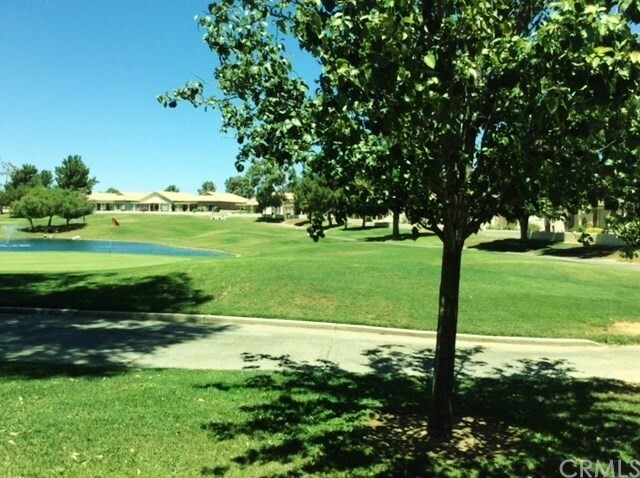 Sun Lakes Country Club is a guard gated 55+ community, has 3 Golf Courses, 3 Clubhouses (1 with a full service restaurant and lounge), 3 Swimming pools (1 indoor), 3 exercise gyms, Tennis, pickle ball, pop tennis and bocce courts. Every kind of activity or social group you could ever want. Excellent shopping and restaurants close by. NO MELLO ROOS TAX! Wow..RV parking !!! SELLER MOTIVATED.. Unbelievable down valley views from this 3 bedroom, 2 bath home with a Den, high on a hill in Desert Hot Springs. This lovely home has room to park your toys or RV on the property with over 15,248 square feet. Walled in with access gate to rear yard makes this a very desirable home. Built in 2005 with over 1800 square feet, you enjoy views from kitchen, living room and master. Fireplace in the living room makes for a wonderful atmosphere on those chilly winter evenings. Inside laundry room with direct access to your 2 car garage. Darling home located in a older established area of central Banning. Newer windows, 2 car attached garage, covered patio and a large rear yard. Affordable...no higher taxes, HOA fees, or mello roos. In addition to the square footage reflected, there is a very nice (unpermitted) family room. Remodeled and updated West Banning home reflects today's lifestyles. Features include 2 bedrooms, 1.5 baths, dining room, newer kitchen, newer tile flooring and carpet, newer central heat and air conditioning, newer water heater, windows have been replaced. ceiling fan, mirrored closet doors and much more. Additional amenities include detached garage, carport and a long driveway for additional parking, fenced yard. Property features quick and easy access to interstate 10. Minutes away from Casino Morongo and world class shopping at the Premium Outlet Stores at Desert Hills in Cabazon. BACK ON MARKET. Senior Resort Living at it’s best. This beautiful Sunningdale model approx. 1298 SF, features 2 bed, 2 bath plus a den/sitting area, walking distance to the Main clubhouse. Kitchen Granite Countertops, Ceiling fans throughout, front courtyard and backyard patio. Replaced HVAC system and water heater. Sun Lakes Country Club offering 3 Clubhouses, 2 Golf Courses, 3 Swimming pools (one indoor), Formal sitting Restaurant, Lounge, Tennis and Bocce Ball Courts. Fitness Center, Many Social clubs and Events for you to enjoy. Close to Freeways and Stores. Nice Turnberry Model 2 br with Den/Office, With Patio cover and some upgrades include laminated wood flooring and new granite counter a nice home in a great senior community. This property offers knotty pine for that country feel... Tile flooring throughout home, excluding bedrooms... Dinning room has a large built in china cabinet... 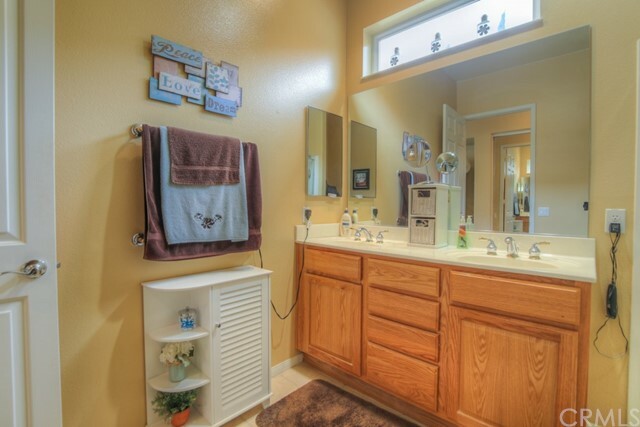 Kitchen and bathrooms include granite counter tops, with newer sinks and faucets... Living room extends to bonus, office, den OR? Home also includes a fireplace, all newer triple pane windows W/ sun reflective tint and plenty of storage. Outside you will find a two car garage, RV parking, extra outdoor storage, large drive way and fruit trees. Cute home in South Banning. Very Large lot. The front yard has a lovely shade tree. Needs a little TLC but nice lot This home is 3 bedrooms with a large masterbedroom and two baths. Price Reduction from a motivated seller! Fantastic home on the Golf Course with a water view!!! This home is located in the highly sought after Active Adult Community of Highland Springs Village. This home has been remodeled and has upgraded flooring with Life Proof flooring in the wet areas. The kitchen has new Granite Countertops and new appliances. This home is spacious and has amazing views. It is a two bedroom and two bath home 1880 square feet. This home is on a permanent foundation and is ready to be financed with your FHA or VA loans. One Year home warranty also included. Beautiful home in North Banning area with very large lot! 2 bedroom, 1 bath. Wood laminate flooring. Era-tile countertops in kitchen and bathroom. Clean and nicely maintained. Fruit trees galore: fig, lemon, oranges, grapefruit, plum, apricot, apple, and more! Two large sheds in backyard for extra storage. Indoor laundry area. Must be seen to fully appreciate this little gem! UPDATED NEW PAINT AND DECORATOR TILE FLOORS THRUOUT!! CONDO IS PRICED TO SELL! 55+ GATE GUARDED COMMUNITY OF SUN LAKES COUNTRY CLUB! IMMACULATE AND TURNKEY, READY TO MOVE IN! LIGHT/BRIGHT END UNIT WITH LOTS OF WINDOWS AND TRIPLE SLIDERS (LIVING ROOM, MASTER BEDROOM, SECONDARY BEDROOM!) GIVE YOU ACCESS TO YOUR PRIVATE OVERSIZED COVERED PATIO WITH SPACE FOR GARDENING ! BEAUTIFUL KITCHEN W/ROOM FOR DINING HAS ABUNDANCE OF CABINET SPACE! INVITING FIREPLACE GRACES OPEN LIVING ROOM W/CATHEDRAL CEILINGS! 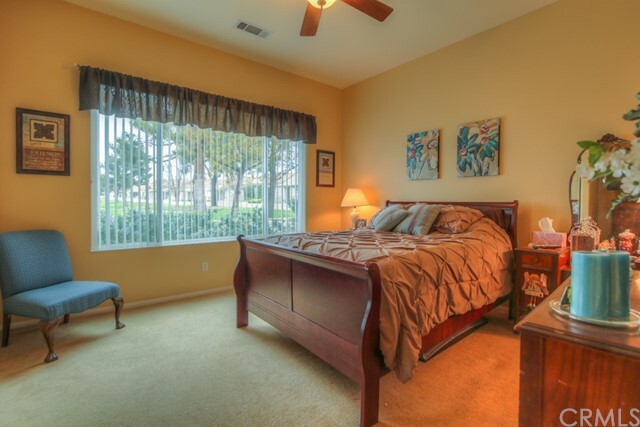 MASTER BEDROOM HAS DUAL CLOSETS, & MASTER BATH HAS DUAL VANITIES!! TWO-CAR GARAGE HAS AMPLE SPACE FOR STORAGE! SEPARATE & ADDITIONAL THIRD DOOR TO GARAGE HOUSES LAUNDRY & MORE SPACE TO STORE! SUN LAKES OFFERS 2 PRIVATE CHAMPIONSHIP GOLF COURSES, CLUBHOUSE, BALLROOM, 2 RESTAURANTS, LIBRARY, EXERCISE & BILLIARD ROOMS, + ENTERTAINMENT, TENNIS, 3 SWIMMING POOLS (IN/OUTDOOR) + MORE! MUST SEE! Newer Home with desert views makes for gorgeous sunsets and starry skies at night. This home is 3 bedroom and 2 baths with attached 2 car garage. This home is eligible for the USDA zero down loan program. Seller just installed a brand new ac unit to keep you nice and cool.This home is waiting for you and is priced to sell. Home also has new carpet in some of the bedrooms. Well Appointed Condo San Jacinto Model, located in The Resort Style "Sun Lakes Country Club" 55+ with all the conveniences of a long established Community. Charming condo comfortable and easy to live in with low maintenance tile and laminatedwood floors throughout, 2 inviting spacious bedrooms with lots of natural light, 2 baths. Gracious living/dining room combo with high ceiling and cozy atmosphere to enjoy time reading and relaxing. Very bright kitchen, Refrigerator/Washer/Dryer included.Very low maintenance attractive patio, cover with Alumawood, surrounded by vinyl fencing and a door leading to the greenbelt. Come, enjoy and be part of what is call living at large, play Golf, Tennis, Bocce Ball, or choose out of 70+ Club Activities, 2 restaurants, Bar/Lounge that offers live music and dancing, Ballroom, 3 Club Houses, 3 Pools, all this, plus different special events every month and much more. Ideal location, no one behind you and only a stroll to the Club House or Golf Course. Turnkey 3 bedroom 2 bathroom with tile floors throughout and carpet in the bedrooms. The home has central heating and cooling, as well as evaporative cooling and a gas fireplace in the living room. Not to mention the kitchen has stainless steel appliances and access to the attached 2 car garage with washer and dryer. From the dining area and the master bedroom the home opens up to a large fenced backyard with a large covered patio! Perfect for entertaining! Great Opportunity to own a home in the highly desirable Community of Highland Springs Village. This Active Adult Community has much to offer from golfing to swimming,Tennis,Fishing and More! The home has new carpet and paint. 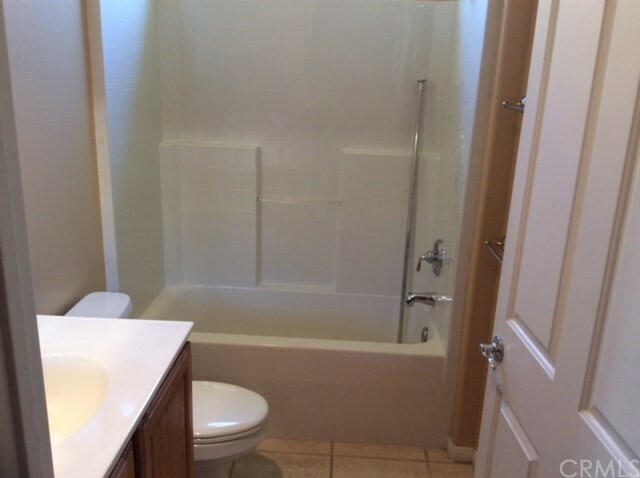 The Master Bathroom also has a newer walk-in Tub.The home also has a 1 car garage that is 2 lengths deep. It is near the clubhouse. BACK ON THE MARKET!!!!!!!!!!!!!!!!!!!!!!!!!!!!!!!!!!!!!!!!!!!! Call Agent for viewing appointment today. Total investors fixer!!!!! Large lot with quaint house (2 bedroom and 1 bath,1120 sq. Ft. ) and permitted room addition and large two car garage. Easy recreational vehicle storage. Conveniently located near the park in Beaumont. Really nice home with a lovely side yard. Delightful home in this Adult Community. The Community has so much to offer. There is Golf ,Tennis,Fishing and more. There are a lot of activities and clubs to join! The home itself is very quaint and delightful. There are wonderful views from the home and it is roomy and bright. The yard is a nice size with newer vinyl fencing around it. The home is close to the clubhouse and the Golf Course. This is a highly desirable community where you own your own land with extremely low HOA fees. The home is a 2 bedroom 2 bath home. Located in the quiet area of Cabazon, nestled near the mountain is this lovely completely remodeled property featuring 3 bedrooms, 1 bath and a BONUS room. The kitchen has new cabinets, concrete counter tops and beautiful tile flooring. There is new carpet in all the bedrooms and the bathroom has new cabinets with a double sink and quartz counter tops. The property has new windows and sliding doors that lead to the patio for you to enjoy the stunning San Jacinto Mountain views. The property is located at the end of the street, completely fenced and provides RV parking. The Palm Springs area is only 15 minutes away and outdoor activities in the Joshua Tree Park and San Jacinto Mountains are reachable within an hour. Cozy and immaculate describes this lovely Santa Rose condominium 2 bedroom/ 2 bathroom floor plan. Living is easy in this home with spacious living room centered on the fireplace. 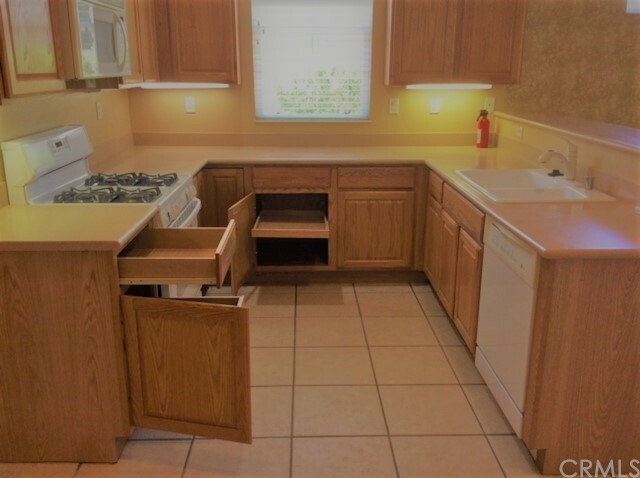 Enjoy an easy care kitchen so you will have time to participate in my of the amenities, events and activities in this unique community of Sun Lakes CC. which is described by residents as a cruise ship on land. Fantastic View on the Golf Course in this Highly desirable 55+ Community of Highland Springs Village. This two bedroom home with living room and Great room area that opens to the family room dining room and kitchen will be a true delight. This home has a large sun porch for al those extra activities and a wonder back patio to enjoy the sunsets and watch the golfers play. This community is very popular and has amazing views. GREAT CORNER LOT in the very desirable 55+ community of Banning Estates, where you own the land with a low HOA fee. This 1440 sq. ft. home has a nice open floor plan with 2 large master bedrooms at opposite ends. One bath room has a wheel chair accessible shower, the other is a Jack n Jill with a shower. Large open living room with dining area next to kitchen with an inviting breakfast bar, the hallway has a door to a large inside laundry and this home also has an attached garage. Almost everything in this home has been replaced and upgraded incl. 35 yr. roof, plumbing under home, A/C, furnace, water heater, dishwasher, refrigerator. kitchen painted and new counters, flooring with ceramic tiles, carpet and wood laminate flooring, blinds, plantation shutters on slider, ceiling fans throughout and new rollers on garage door. Outside you will enjoy the semi private covered patio that opens to the rest of the nicely landscaped side yard that is enclosed with custom block and decorative wrought iron fencing. This home has a 433 that was recorded on 6/4/2003. Banning Estates has a gated R.V/Boat storage area and Clubhouse that has a billiard room, library, dance floor, exercise room, swimming pool/ BEAUTIFUL park area to relax in. Beautiful Home in Plantations on the lake senior community with Two pools and spas, two clubhouses, fitness room and two ponds. lots of activities. Home is a 3 bedroom 2 full one 3/4 bath 2 bedrooms on one end and master on other. The master suite has his and hers bathrooms with large walk thru closet connecting the two. Kitchen has an island and a breakfast area with lots of storage and a laundry room with lots of space and storage. large great run for entertaining along with a large enclosed patio room that opens a great area in the backyard. has 2 car garage with lots of storage this is a must see don't let the price scare you its worth a look. Has beautiful wood floors thru out the home. This home has a desirable floor plan with a decent size lot. Come & take a look lots of potential here!!! Some elbow grease & TLC and this home will be a wonderful place to live for the right buyer. Buyer needs to use there imagination homes current condition has old peeling paint, needs full exterior and interior paint. Flooring, Cabinets, windows and doors need upgrading. Located on paved road, easy access, beautiful mountain community of Twin Pines. Approximately 2.67 acres with a view. This is a great opportunity for someone who wants to build a new home. Well-Maintained 55+ Senior Home with one of the largest lots in the community. MOUNTAIN VIEWS from almost every window! This home has a vintage "avocado-toast" styling, with pristine era appliances that look like they've never been used. Master bedroom is ENORMOUS with 2 large closets and connected master bathroom. 2nd bedroom has access to a large enclosed sunroom, which could be used for an office or gameroom; open the sunroom windows for a nice breeze and enjoy the weather! Built-in hutch in the dining room. Spacious living room with plenty of wall space for your TV. Outdoor shed for extra storage. Long driveway with abundant parking. !!! Reduce Price !!! Check Out This Great Manufactured Home Located In a Corner Lot Gated Senior Park Linda Vista , This Manufactured Home Was Updated 4 Years Ago, Separated Living Room and Family Room, Open Kitchen With a lot of Cabinets, Laundry Room, Guest bathroom Easy Walk-In Shower, Master Bathroom with Garden Tub, Also Has in Extra Room For Reading Or Office , Cover Patio, Wide Carport Parking, Low Maintenance, Park Has Lot`s Of Amenities, Swimming Pool, Spa, Sauna, Club House, Poker and Pool Tables. 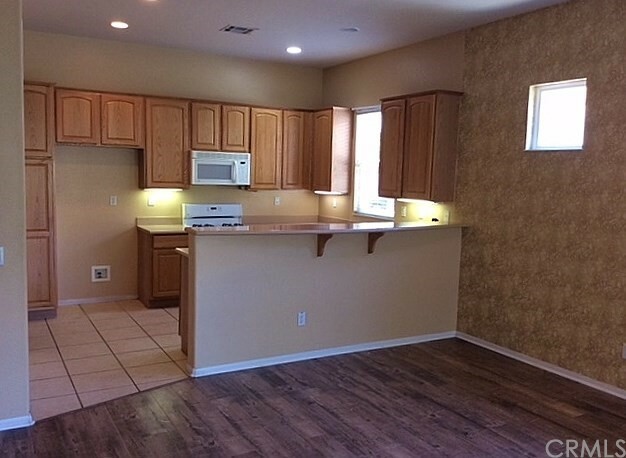 This Park Is Close To Fwy 1-10 , Shopping Center, Churches, Hospital, Casino Morongo and Cabazon Outlets Mall. Located in a senior community close to medical, shopping, restaurants. Nice clean park with affordable space rent. This is a 2 bedroom 1.75 bath. Over 1600 sq. ft. with the extra large room addition, small covered separate patio with awnings on both sides of the house. Also has a large workshop, storage area. Very nice clean mobile home. 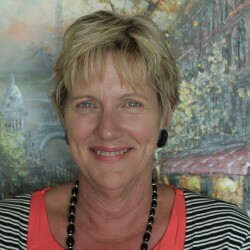 Located in a 55+ community in the City of Banning. Close to the 10 freeway, all of your local shopping, restaurants, and medical. Community is gated and has a wonderful clubhouse, kitchen, game room, indoor spa, and an outdoor pool and barbeque area. 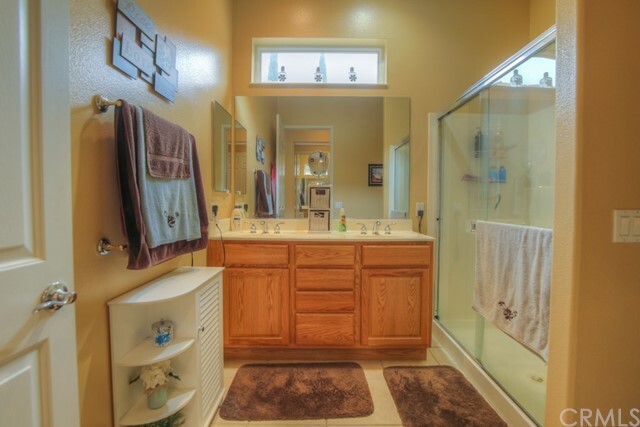 Home has two full baths with two large bedrooms. The master is spacious and has a large bathroom with a soaking tub and a shower. Large living room, dining area. Kitchen has a breakfast bar. Large laundry room with washer and dryer and sink for soaking. Carport is long enough for 3 cars. Front porch has a cover the length of the home. Don't let this one get away! GREAT OPPORTUNITY to own a lot in Uptown Yucaipa that is designated commercial residential , which includes office or retail. This affordable lot could also be used for your own home or a spec. house. It's in between two residences and the back of the lot has alley access and is just off the commercial properties on Yucaipa Blvd. 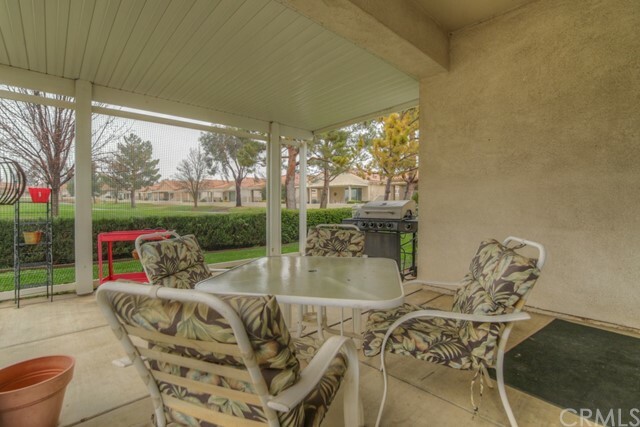 nice double wide 3 bedroom 2 bath mobile in hemet west mobile home park, a 55+ community park has golf course, pool, clubhouse and waterfall. this is a must see for affordable senior living. Very nice, well kept home with SOLAR!! Three bedroom, two bath, beautiful yard with a covered patio and enormous custom sliding door. Refrigerator is included and the gardener will be paid by owner. 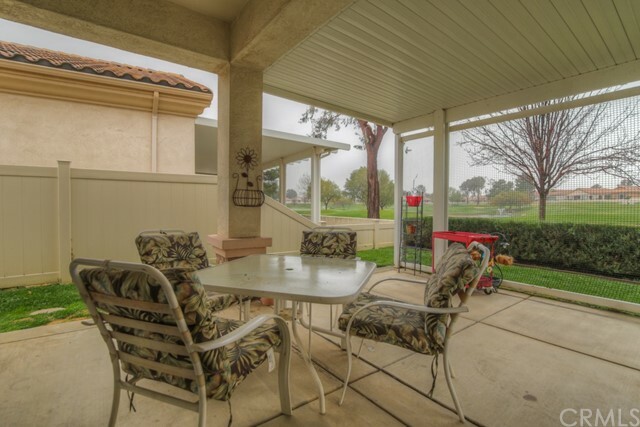 Location,location describes Sun Lakes Country Club which is 55 + resort style community. This rare 2003 Pave model is available for comfortable and secure living. This open floor plan home has 1471 sq. ft. ( 2 bedrooms, two baths and den). The home has new wood laminate flooring, refrigerator, washer and dryer. Three Bedroom, Two Bathroom home. Just remodeled with fresh paint inside and out, new carpet, new appliances, concrete along the right side for additional parking. New front lawn coming this week! There is a wide gate to access the rear yard for additional parking or RV storage. More pictures coming soon!